This article is about the clinical psychology. For other uses, see Phobia (disambiguation). A phobia is a type of anxiety disorder, defined by a persistent fear of an object or situation. The phobia typically results in a rapid onset of fear and is present for more than six months. The affected person will go to great lengths to avoid the situation or object, typically to a degree greater than the actual danger posed. If the feared object or situation cannot be avoided, the affected person will have significant distress. With blood or injury phobia, fainting may occur. Agoraphobia is often associated with panic attacks. Usually a person has phobias to a number of objects or situations. Phobias can be divided into specific phobias, social phobia, and agoraphobia. Types of specific phobias include to certain animals, natural environment situations, blood or injury, and specific situations. The most common are fear of spiders, fear of snakes, and fear of heights. Occasionally they are triggered by a negative experience with the object or situation. Social phobia is when the situation is feared as the person is worried about others judging them. Agoraphobia is when fear of a situation occurs because it is felt that escape would not be possible. Specific phobias should be treated with exposure therapy where the person is introduced to the situation or object in question until the fear resolves. Medications are not useful in this type of phobia. Social phobia and agoraphobia are often treated with some combination of counselling and medication. Medications used include antidepressants, benzodiazepines, or beta-blockers. Specific phobias affect about 6-8% of people in the Western world and 2-4% of people in Asian, Africa, and Latin America in a given year. Social phobia affects about 7% of people in the United States and 0.5-2.5% of people in the rest of the world. Agoraphobia affects about 1.7% of people. Women are affected about twice as often as men. Typically onset is around the age of 10 to 17. Rates become lower as people get older. People with phobias are at a higher risk of suicide. 1. Specific phobias: Fear of particular objects or social situations that immediately results in anxiety and can sometimes lead to panic attacks. Specific phobia may be further subdivided into five categories: animal type, natural environment type, situational type, blood-injection-injury type, and other. 2. Agoraphobia: a generalized fear of leaving home or a small familiar 'safe' area, and of possible panic attacks that might follow. It may also be caused by various specific phobias such as fear of open spaces, social embarrassment (social agoraphobia), fear of contamination (fear of germs, possibly complicated by obsessive-compulsive disorder) or PTSD (post traumatic stress disorder) related to a trauma that occurred out of doors. 3. Social phobia, also known as social anxiety disorder, is when the situation is feared as the person is worried about others judging them. Phobias vary in severity among individuals. Some individuals can simply avoid the subject of their fear and suffer relatively mild anxiety over that fear. Others suffer full-fledged panic attacks with all the associated disabling symptoms. Most individuals understand that they are suffering from an irrational fear, but are powerless to override their panic reaction. These individuals often report dizziness, loss of bladder or bowel control, tachypnea, feelings of pain, and shortness of breath. 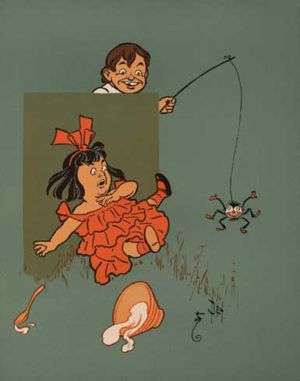 A specific phobia is a marked and persistent fear of an object or situation which brings about an excessive or unreasonable fear when in the presence of, or anticipating, a specific object; the specific phobias may also include concerns with losing control, panicking, and fainting which is the direct result of an encounter with the phobia. Specific phobias are defined in relation to objects or situations whereas social phobias emphasize social fear and the evaluations that might accompany them. The DSM breaks specific phobias into five subtypes: animal, natural environment, blood-injection-injury, situational, and other. In children, phobias involving animals, natural environment (darkness), and blood-injection-injury usually develop between the ages of 7 and 9, and these are reflective of normal development. Additionally, specific phobias are most prevalent in children between ages 10 and 13. Unlike specific phobias, social phobias include fear of public situations and scrutiny which leads to embarrassment or humiliation in the diagnostic criteria. Much of the progress in understanding the acquisition of fear responses in phobias can be attributed to classical conditioning (Pavlovian model). When an aversive stimulus and a neutral one are paired together, for instance when an electric shock is given in a specific room, the subject can start to fear not only the shock but the room as well. In behavioral terms, this is described as a conditioned stimulus (CS) (the room) that is paired with an aversive unconditioned stimulus (UCS) (the shock), which leads to a conditioned response (CR) (fear for the room) (CS+UCS=CR). For instance, in case of the fear of heights (acrophobia), the CS is heights such as a balcony on the top floors of a high rise building. The UCS originates from an aversive or traumatizing event in the person's life, such as almost falling down from a great height. The original fear of almost falling down is associated with being on a high place, leading to a fear of heights. In other words, the CS (heights) associated with the aversive UCS (almost falling down) leads to the CR (fear). This direct conditioning model, though very influential in the theory of fear acquisition, is not the only way to acquire a phobia. Vicarious fear acquisition is learning to fear something, not by a subject's own experience of fear, but by watching others reacting fearfully (observational learning). For instance, when a child sees a parent reacting fearfully to an animal, the child can become afraid of the animal as well. Through observational learning, humans are able to learn to fear potentially dangerous objects;a reaction which also been observed in non-human primates. In a study focusing on non-human primates, results showed that the primates learned to fear snakes at a fast rate after observing parents’ fearful reactions. An increase of fearful behaviors was observed as the non-human primates continued to observe their parents’ fearful reaction. Even though observational learning has been proven to be effective in creating reactions of fear and phobias, it has also been shown that by physically experiencing an event, chances increase of fearful and phobic behaviors.<ref name="Snakes"/< In some cases physically experiencing an event, may increase the fear and phobia more so than observing a fearful reaction of another human or non-human primate. Informational/instructional fear acquisition is learning to fear something by getting information. For instance, fearing electrical wire after having heard that touching it will result in an electric shock. A conditioned fear response to an object or situation is not always a phobia. To meet the criteria for a phobia there must also be symptoms of impairment and avoidance. Impairment is defined as being unable to complete routine tasks whether occupational, academic or social. In acrophobia an impairment of occupation could result from not taking a job solely because of its location at the top floor of a building, or socially not participating in a social event at a theme park. The avoidance aspect is defined as behavior that results in the omission of an aversive event that would otherwise occur with the goal of the preventing anxiety. Beneath the lateral fissure in the cerebral cortex, the insula, or insular cortex, of the brain has been identified as part of the limbic system, along with cingulated gyrus, hippocampus, corpus callosum, and other nearby cortices. This system has been found to play a role in emotion processing and the insula, in particular, may contribute through its role in maintaining autonomic functions. Studies by Critchley et al. indicate the insula as being involved in the experience of emotion by detecting and interpreting threatening stimuli. Similar studies involved in monitoring the activity of the insula show a correlation between increased insular activation and anxiety. In the frontal lobes, other cortices involved with phobia and fear are the anterior cingulate cortex and the medial prefrontal cortex. In the processing of emotional stimuli, studies on phobic reactions to facial expressions have indicated these areas to be involved in processing and responding to negative stimuli. The ventromedial prefrontal cortex has been said to influence the amygdala by monitoring its reaction to emotional stimuli or even fearful memories. Most specifically, the medial prefrontal cortex is active during extinction of fear and is responsible for long term extinction. Stimulation of this area decreases conditioned fear responses and so its role may be in inhibiting the amygdala and its reaction to fearful stimuli. The hippocampus is a horseshoe shaped structure that plays an important part in the brain’s limbic system because of its role in forming memories and connecting them with emotions and the senses. When dealing with fear, the hippocampus receives impulses from the amygdala that allows it to connect the fear with a certain sense, such as a smell or sound. The amygdala is an almond shaped mass of nuclei that is located deep in the brain’s medial temporal lobe. It processes the events associated with fear and is being linked to anxiety disorders and social phobias. The amygdala's ability to respond to fearful stimuli occurs through the process of fear conditioning. Similar to classical conditioning, the amygdala learns to associate a conditioned stimulus with a negative or avoidant stimulus, creating a conditioned fear response that is often seen in phobic individuals. In this way the amygdala is responsible for not only recognizing certain stimuli or cues as dangerous, but plays a role in the storage of threatening stimuli to memory. The basolateral nuclei (or basolateral amygdala) and the hippocampus interact with the amygdala in the storage of memory, which suggests why memories are often remembered more vividly if they have emotional significance. In addition to memory, the amygdala also triggers the secretion of hormones that affect fear and aggression. When the fear or aggression response is initiated, the amygdala releases hormones into the body to put the human body into an "alert" state, which prepares the individual to move, run, fight, etc. This defensive "alert" state and response is generally referred to in psychology as the fight-or-flight response. Inside the brain, however, this stress response can be observed in the hypothalamic-pituitary-adrenal axis (HPA).This circuit incorporates the process of receiving stimuli, interpreting it, and releasing certain hormones into the blood stream. The parvocellular neurosecretary neurons of the hypothalamus release corticotropin-releasing hormone(CRH) which is sent to the anterior pituitary. Here the pituitary releases adrenocorticotropic hormone (ACTH) which ultimately stimulates the release of cortisol. In relation to anxiety, the amygdala is responsible for activating this circuit, while the hippocampus is responsible for suppressing it. Glucocorticoid receptors in the hippocampus monitor the amount of cortisol in the system and through negative feedback can tell the hypothalamus to stop releasing CRH. Studies on mice engineered to have high concentrations of CRH showed higher levels of anxiety, while those engineered to have no or low amounts of CRH receptors were less anxious. In phobic patients, therefore, high amounts of cortisol may be present, or alternatively, there may be low levels of glucocorticoid receptors or even serotonin (5-HT). For the areas in the brain involved in emotion—most specifically fear— the processing and response to emotional stimuli can be significantly altered when one of these regions becomes lesioned or damaged. Damage to the cortical areas involved in the limbic system such as the cingulate cortex or frontal lobes have resulted in extreme changes in emotion. Other types of damage include Klüver–Bucy syndrome and Urbach–Wiethe disease. In Klüver–Bucy syndrome, a temporal lobectomy, or removal of the temporal lobes results in changes involving fear and aggression. Specifically, the removal of these lobes results in decreased fear, confirming its role in fear recognition and response. Bilateral damage to the medial temporal lobes, which is known as Urbach–Wiethe disease exhibits similar symptoms of decreased fear and aggression, but also an inability to recognize emotional expressions, especially angry or fearful faces. The amygdala’s role in learned fear includes interactions with other brain regions in the neural circuit of fear. While lesions in the amygdala can inhibit its ability to recognize fearful stimuli, other areas such as the ventromedial prefrontal cortex and the basolateral nuclei of the amygdala can affect the region's ability to not only become conditioned to fearful stimuli, but to eventually extinguish them. The basolateral nuclei, through receiving stimulus info, undergo synaptic changes which allow the amygdala to develop a conditioned response to fearful stimuli. Lesions in this area, therefore, have been shown to disrupt the acquisition of learned responses to fear. Likewise, lesions in the ventromedial prefrontal cortex (the area responsible for monitoring the amygdala) have been shown to not only slow down the speed of extinguishing a learned fear response, but also how effective or strong the extinction is. This suggests there is a pathway or circuit among the amygdala and nearby cortical areas that process emotional stimuli and influence emotional expression, all of which can be disrupted when an area becomes damaged. The terms distress and impairment as defined by the Diagnostic and Statistical Manual of Mental Disorders, Fourth Edition (DSM-IV-TR) should also take into account the context of the person's environment if attempting a diagnosis. The DSM-IV-TR states that if a phobic stimulus, whether it be an object or a social situation, is absent entirely in an environment — a diagnosis cannot be made. An example of this situation would be an individual who has a fear of mice but lives in an area devoid of mice. Even though the concept of mice causes marked distress and impairment within the individual, because the individual does not encounter mice in the environment no actual distress or impairment is ever experienced. Proximity and the degree to which escape from the phobic stimulus is impossible should also be considered. As the person approaches a phobic stimulus, anxiety levels increase (e.g. as one gets closer to a snake, fear increases in ophidiophobia), and the degree to which escape of the phobic stimulus is limited has the effect of varying the intensity of fear in instances such as riding an elevator (e.g. anxiety increases at the midway point between floors and decreases when the floor is reached and the doors open). There are various methods used to treat phobias. These methods include: systematic desensitization, progressive relaxation, virtual reality, modeling, medications, and hypnotherapy. Cognitive behavioral therapy (CBT) can be beneficial. Cognitive behavioral therapy allows the patient to challenge dysfunctional thoughts or beliefs by being mindful of their own feelings with the aim that the patient will realize their fear is irrational. CBT may be conducted in a group setting. Gradual desensitisation treatment and CBT are often successful, provided the patient is willing to endure some discomfort. In one clinical trial, 90% of patients were observed to no longer have a phobic reaction after successful CBT treatment. Eye movement desensitization and reprocessing (EMDR) has been demonstrated in peer-reviewed clinical trials to be effective in treating some phobias. Mainly used to treat post-traumatic stress disorder, EMDR has been demonstrated as effective in easing phobia symptoms following a specific trauma, such as a fear of dogs following a dog bite. Another method psychologists and psychiatrists use to treat patients with extreme phobias is prolonged exposure. Prolonged exposure is used in psychotherapy when the person with the phobia is exposed to the object of their fear over a long period of time. This technique is only tested when a person has overcome avoidance of or escape from the phobic object or situation. People with slight distress from their phobias usually do not need prolonged exposure to their fear. A method used in the treatment of a phobia is systematic desensitization, a process in which the patients seeking help slowly become accustomed to their phobia, and ultimately overcome it. Traditional systematic desensitization involves a person being exposed to the object they are afraid of over time, so that the fear and discomfort do not become overwhelming. This controlled exposure to the anxiety provoking stimulus is key to the effectiveness of exposure therapy in the treatment of specific phobia's. One form of systematic desensitization involves, humor. It has been shown that humor is an excellent alternative to the traditional systematic desensitization, when it does not efficiently rid someone of a phobia. Humor systematic desensitization involves a series of treatment activities that consist of activities that elicit humor with the feared object. Previously learned progressive muscle relaxation procedures can be used as the activities become more difficult in a person’s own hierarchy level. Progressive muscle relaxation helps patients relax their muscles before and during exposures to the phobic object. Participant modeling has been proven to be effective for children and adolescents. Participant modeling consists of a therapist modeling how the patients should respond to their fears. This encourages the patients to practice this behavior and reinforces their efforts. Similar to systematic desensitization, patients are gradually introduced to the phobic objects. The main difference between participant modeling and systematic desensitization, involves observations and modeling. Participant modeling encompasses a therapist modeling positive behavior(s), observing the positive behavior(s), and gradual exposure to the phobic object. Virtual reality therapy is a type of therapy that helps patients imagine scenes with the phobic object, like systematic desensitization therapy. Using virtual reality, virtual reality therapy generates scenes that may not have been possible in the physical world. There are several advantages that virtual reality therapy has over systematic desensitization therapy: patients have the ability to control the scenes produced, patients can endure more phobic scenes (i.e. they may not be able to experience/handle these harsh scenes in real life), it is more realistic than simply imagining a scene, it occurs in a private room, and is very efficient. Medications can help regulate the apprehension and fear that comes from thinking about or being exposed to a particular fearful object or situation. Antidepressant medications such as SSRIs or MAOIs may be helpful in some cases of phobia. SSRIs (antidepressants) act with serotonin, a neurotransmitter in the brain. Since serotonin impacts mood, patients may be prescribed an antidepressant. Another type of medication used for treating patients with phobias are sedatives. Benzodiazepines are sedatives, which can help patients relax by reducing the amount of anxiety they feel. Benzodiazepines may be useful in acute treatment of severe symptoms, but the risk-benefit ratio is against their long-term use in phobic disorders. Though once believed to be highly addictive, these prescriptions have been recently shown as addictive if used with negative behaviors (i.e. alcohol abuse) . Despite this recent positive finding, benzodiazepines should be used with caution. Beta blockers are another medication that can be used as a treatment for phobias. Beta blockers stop the stimulating effects of adrenaline in a person’s body. These effects include: sweating, increased heart rate, elevated blood pressure, tremors, and the feeling of a pounding heart. By taking beta blockers before a phobic event, these symptoms are decreased, causing the event to be less frightening. Hypnotherapy can be used alone and in conjunction with systematic desensitization to treatment phobias. Hypnotherapy can help people with phobias, resolve their issue, by uncovering the underlying cause of the phobia. The cause of phobias may be from a past event that the patient does not remember. When a traumatic event has occurred and the person who experienced it does not remember the event, the term is called repression. Repression is a mechanism our mind uses to keep the memory of the trauma out of our conscious mind until we are ready to deal with it. Hypnotherapy may also eliminate the conditioned responses that occur during different situations: the phobic object is within eyesight of the patient, the patient is placed in a phobic situation, or the patient is attempting to complete a phobic task. Patients are first placed into a hypnotic trance (i.e. an extremely relaxed state). The unconscious can be retrieved during the hypnotic trance. This state allows for patients to be open to suggestion, which helps bring about a desired change. Addressing old memories consciously helps individuals understand the event and see the event in a way which is no longer threatening. 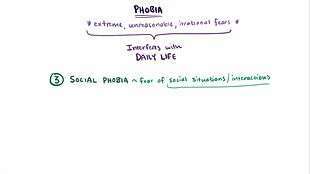 Phobias are a common form of anxiety disorders and distributions are heterogeneous by age and gender. An American study by the National Institute of Mental Health (NIMH) found that between 8.7 percent and 18.1 percent of Americans suffer from phobias, making it the most common mental illness among women in all age groups and the second most common illness among men older than 25. Between 4 percent and 10 percent of all children experience specific phobias during their lives, and social phobias occur in one percent to three percent of children and adolescents. A Swedish study found that females have a higher incidence than males (26.5 percent for females and 12.4 percent for males). Among adults, 21.2 percent of women and 10.9 percent of men have a single specific phobia, while multiple phobias occur in 5.4 percent of females and 1.5 percent of males. Women are nearly four times as likely as men to have a fear of animals (12.1 percent in women and 3.3 percent in men) — a higher dimorphic than with all specific or generalized phobias or social phobias. Social phobias are more common in girls than in boys, while situational phobia occurs in 17.4 percent of women and 8.5 percent of men. The word phobia comes from the Greek: φόβος (phóbos), meaning "aversion", "fear", or "morbid fear". In popular culture, it is common for specific phobias to be given a name based on a Greek word for the object of the fear, plus the suffix -phobia. Creating these terms is something of a word game. Few of these terms are found in medical literature. In ancient Greek mythology Phobos was the twin brother of Deimos (terror). The word phobia may also refer to conditions other than true phobias. For example, the term hydrophobia is an old name for rabies, since an aversion to water is one of that disease's symptoms. A specific phobia to water is called aquaphobia instead. A hydrophobe is a chemical compound which repels water. Similarly, the term photophobia usually refers to a physical complaint (aversion to light due to inflamed eyes or excessively dilated pupils), rather than an irrational fear of light. Chemophobia – Negative attitudes and mistrust towards chemistry and synthetic chemicals. Xenophobia – Fear or dislike of strangers or the unknown, sometimes used to describe nationalistic political beliefs and movements. Homophobia – Negative attitudes and feelings toward homosexuality or people who are identified or perceived as being lesbian, gay, bisexual or transgender (LGBT). Such terms are not phobias. They are derogatory terms for negative attitudes towards certain categories of people or other things, used in an invalid analogy with the medical usage of the term. These terms were coined with the purpose of shedding a negative light on the people within these opposing groups, by suggesting that everyone within has an irrational fear towards the objects of the terms. Usually these kinds of "phobias" are described as fear, dislike, disapproval, prejudice, hatred, discrimination, or hostility towards the object of the "phobia". 1 2 Hamm, AO (September 2009). "Specific phobias.". The Psychiatric clinics of North America. 32 (3): 577–91. doi:10.1016/j.psc.2009.05.008. PMID 19716991. ↑ "Specific Phobias". USVA. Retrieved 26 July 2016. 1 2 "Anxiety Disorders". NIMH. March 2016. Retrieved 27 July 2016. ↑ Perugi, G; Frare, F; Toni, C (2007). "Diagnosis and treatment of agoraphobia with panic disorder.". CNS Drugs. 21 (9): 741–64. doi:10.2165/00023210-200721090-00004. PMID 17696574. ↑ LeBeau RT, Glenn D, Liao B, Wittchen HU, Beesdo-Baum K, Ollendick T, Craske MG (2010). "Specific phobia: a review of DSM-IV specific phobia and preliminary recommendations for DSM-V". Depress Anxiety. 27 (2): 148–67. doi:10.1002/da.20655. PMID 20099272. ↑ Tamparo, Carol; Lewis, Marcia (2011). Diseases of the Human Body. Philadelphia, PA: F.A. Davis Company. p. 153. ISBN 9780803625051. ↑ Diagnostic and Statistical Manual of Mental Disorders, 4th ed. Washington D.C.: American Psychiatric Association. 1994. p. 405. ISBN 0-89042-062-9. 1 2 Bolton, D.; Eley, T. C.; O'Connor, T. G.; Perrin, S.; Rabe-Hesketh, S.; Rijsdijk, F.; Smith, P. (2006). "Prevalence and genetic and environmental influences on anxiety disorders in 6-year-old twins". Psychological Medicine. 36 (3): 335–344. doi:10.1017/S0033291705006537. PMID 16288680. ↑ Rachman, S.J. (1978). Fear and Courage. San Francisco: WH Freeman & Co.
1 2 Myers; Davis, K. M. (2007). "Mechanisms of fear extinction". Molecular Psychiatry. 12 (2): 120–150. doi:10.1038/sj.mp.4001939. PMID 17160066. Retrieved April 25, 2011. ↑ "vicarious conditioning". BehaveNet. Retrieved 2013-06-21. 1 2 3 Mineka, S.; Davidson, M.; Cook, M.; Keir, R. (1984). "Observational conditioning of snake fear in rhesus monkeys.". Journal of Abnormal Psychology. 93 (4): 355–372. doi:10.1037/0021-843x.93.4.355. ↑ Andreas Olsson; Elizabeth A. Phelps (2004). "Learned Fear of Unseen Faces After Pavlovian, Observational, and Instructed Fear" (PDF). Psychological Science. 15 (12): 822–828. doi:10.1111/j.0956-7976.2004.00762.x. PMID 15563327. ↑ Bolles, R. C. (1970). "Species-specific Defense Reactions and Avoidance Learning". Psychological Review. 77: 32–38. doi:10.1037/h0028589. ↑ "NIMH · Post Traumatic Stress Disorder Research Fact Sheet". National Institutes of Health. 1 2 3 4 Tillfors, Maria (15 March 2003). "Why do some individuals develop social phobia? A review with emphasis on the neurobiological influences". Nord J. Psychiatry. Taylor & Francis. 58 (4). doi:10.1080/0839480410005774. 1 2 3 4 5 6 Mark F. Bear; Barry W. Connors; Michael A. Paradiso, eds. (2007). Neuroscience: Exploring the Brain (3rd ed.). Lippincott Williams & Wilkins. ISBN 9780781760034. ↑ Straube, T.; Mentzel, H.; Miltner, W. R. (2005). "Neuropsychobiology". Common and District Brain Activation to Threat and Safety Signals in Social Phobia. 52 (3): 163–8. doi:10.1159/000087987. ↑ Etkin, Amit; Tobias Egner; Raffael Kalisch (February 2011). "Emotional processing in the anterior cingulate and medial prefrontal cortex". Trends Cogn Sci. 15 (2): 85–93. doi:10.1016/j.tics.2010.11.004. PMC 3035157 . PMID 21167765. ↑ Akirav, Irit; Mouna Maroun (15 May 2006). "The Role of the Medial Prefrontal Cortex-Amygdala Circuit in Stress Effects on the Extinction of Fear". Neural Plasticity. 2007: 1–11. doi:10.1155/2007/30873. ↑ Paul J. Whalen; Elizabeth A. Phelps, eds. (2009). The Human Amygdala. New York: The Guilford Press. ↑ Winerman, Lea. "Figuring Out Phobia", American Psychology Association: Monitor on Psychology, August 2007. ↑ Diagnostic and Statistical Manual of Mental Disorders, 4th ed. Washington D.C.: American Psychiatric Association. 1994. p. 406. ISBN 0-89042-062-9. ↑ Hall, Lynne L. Fighting Phobias, the Things That Go Bump in the Mind, FDA Consumer Magazine, Volume 31 No. 2, March 1997. 1 2 Wolpe, Joseph (1958). Psychotherapy by reciprocal inhibition. (PDF). Stanford University Press. ↑ E. B., Foa; Blau, J. S.; Prout, M.; Latimer, P. (1977). "Is horror a necessary component of flooding (implosion)?". Behaviour Research and Therapy. 15: 397–402. doi:10.1016/0005-7967(77)90043-2. ↑ Craske, Michelle; Martin M. Antony; David H. Barlow (2006). Mastering your fears and phobias,. US: Oxford University Press. ISBN 978-0-19-518917-9. ↑ Eysenck, Hans (1977). You and Neurosis. ↑ Albano, A. (2003). Treatment of social anxiety disorder. In M. A. Reinecke, F. M. Dattilio, A. Freeman (Eds.) , Cognitive therapy with children and adolescents: A casebook for clinical practice (2nd ed.) (pp. 128–161). New York, NY US: Guilford Press. ↑ De Jongh, A; Ten Broeke, E; Renssen, M R. (1999). "Treatment of specific phobias with Eye Movement Desensitization and Reprocessing (EMDR): protocol, empirical status, and conceptual issues". Journal of anxiety disorders. 13 (1–2): 69–85. doi:10.1016/S0887-6185(98)00040-1. PMID 10225501. ↑ Watson, J.P.; Marks (2 January 1971). "Prolonged Exposure: A Rapid Treatment For Phobias". British Medical Journal. 1 (5739): 13–15. doi:10.1136/bmj.1.5739.13. JSTOR 25413031. 1 2 Ventis, L.B; Higbee, G; Murdock, S.A. (2001). "Using humor in systematic desensitization to reduce fear". Journal of General Psychology. 128: 241–253. doi:10.1080/00221300109598911. 1 2 Love, S.R; Matson, J.L. ; West, D (1990). "Mothers as effective therapists for autistic children's phobias". Journal of Applied Behavior Analysis. 23: 379–385. doi:10.1901/jaba.1990.23-379. ↑ North, M.M. ; North, S.M. ; Coble, J.R. (1997). Virtual reality therapy: An effective treatment for psychological disorders. Amsterdam, Netherlands: IOS Press. 1 2 3 Marshall (1995). "Integrated treatment of social phobia". Bulletin of the Menninger Clinic. 59(2,Suppl A): A27-A37. ↑ Stein, Dan J. (16 February 2004). "Specific Phobia". Clinical Manual of Anxiety Disorders (1st ed.). USA: American Psychiatric Press Inc. p. 53. ISBN 978-1-58562-076-0. Fears are common in children and adolescents. However, for some youth, these fears persist and develop into specific phobias. A specific phobia is an intense, enduring fear of an identifiable object or situation that may lead to panic symptoms, distress, and avoidance (e.g., fears of dogs, snakes, storms, heights, costumed characters, the dark, and similar objects or situations). Moreover, phobias can affect a youngster's quality of life by interfering with school, family, friends, and free-time. It is estimated that 5% to 10% of youth will develop a phobia before reaching the age of 16. ↑ Iglesias, Alex; Iglesias, Adam (2013). "I-95 Phobia Treated With Hypnotic Systematic Desensitization: A Case Report". American Journal of Clinical Hypnosis. 52 (6): 143–151. doi:10.1080/00029157.2013.785930. PMID 24665816. 1 2 Vickers, A.; Zollman, C.; Payne, D.K. (1990). "Hypnosis and relaxation therapies". Western Journal of Medicine. 175 (4): 269–272. doi:10.1136/ewjm.175.4.269. PMC 1071579 . PMID 11577062. 1 2 3 4 Fredrikson, M; Annas, P; Fischer, H; Wik, G (1996). "Gender and age differences in the prevalence of specific fears and phobias". Behaviour research and therapy. 34 (1): 33–9. doi:10.1016/0005-7967(95)00048-3. PMID 8561762. ↑ Essau, C. A.; Conradt, J.; Petermann, F. (1999). "Frequency and comorbidity of social phobia and social fears in adolescents". Behaviour Research and Therapy. 37 (9): 831–843. doi:10.1016/S0005-7967(98)00179-X. PMID 10458047. ↑ R.L.G. (15 July 2011). "Changes in meaning: Homophobe". The Economist. The Economist. Retrieved 18 August 2015.